Automatically dispenses into equal parts and is weatherproof. 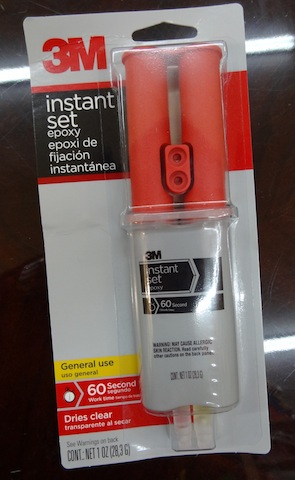 Great for bonding small materials. Indoor/Outdoor. Set time in 90 seconds.